I can't say I don't love February because... It's my birthday month! 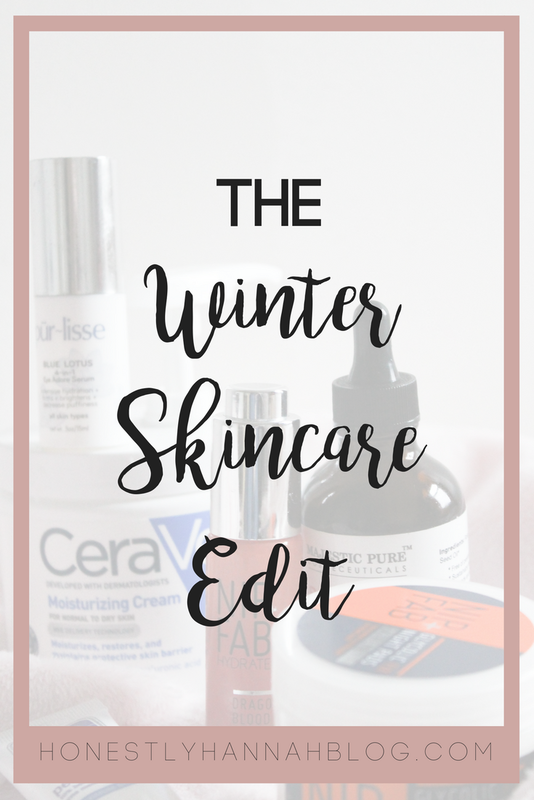 I know February can feel like a drag because of the cold weather and just all around dreary winter days, but I think winter is the perfect time to really up your skincare game! 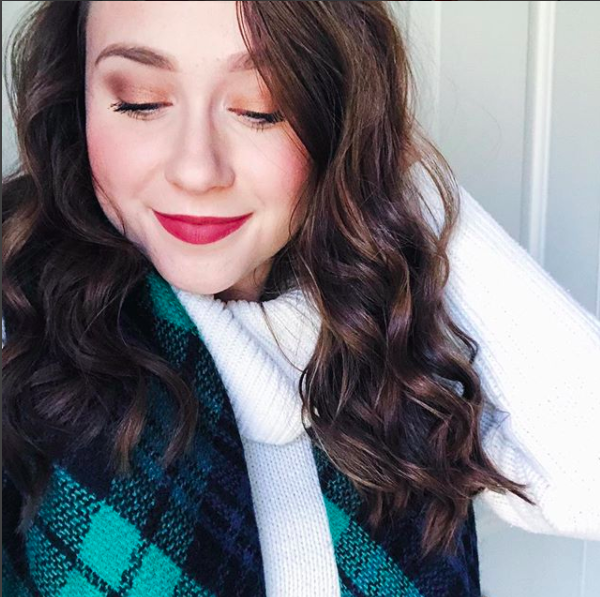 Winter is harsh on our skin, and that's why it's so important to use products that are hydrating so we can keep our skin glowing and young. 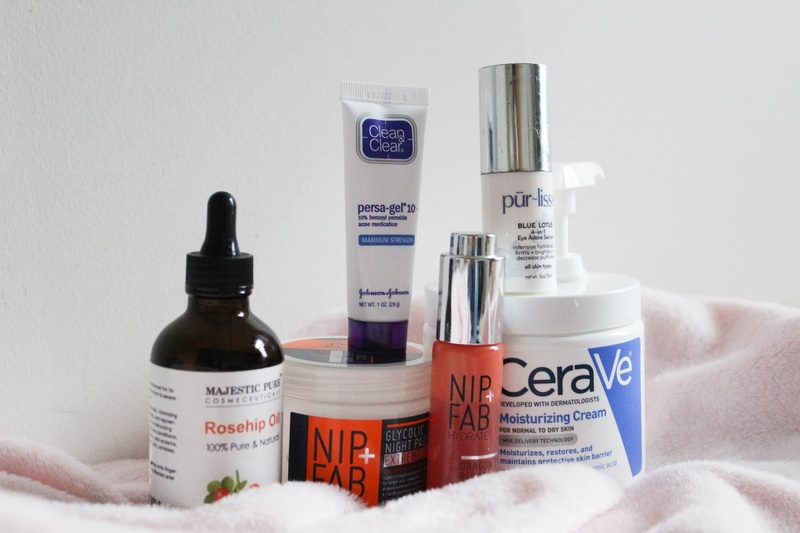 If you want to see some of my very favorite winter skincare products as well as some tips for all around good-skin practices for the winter, keep on reading! Did the idea of putting oils on your face freak anyone else out at first? It freaked me out. 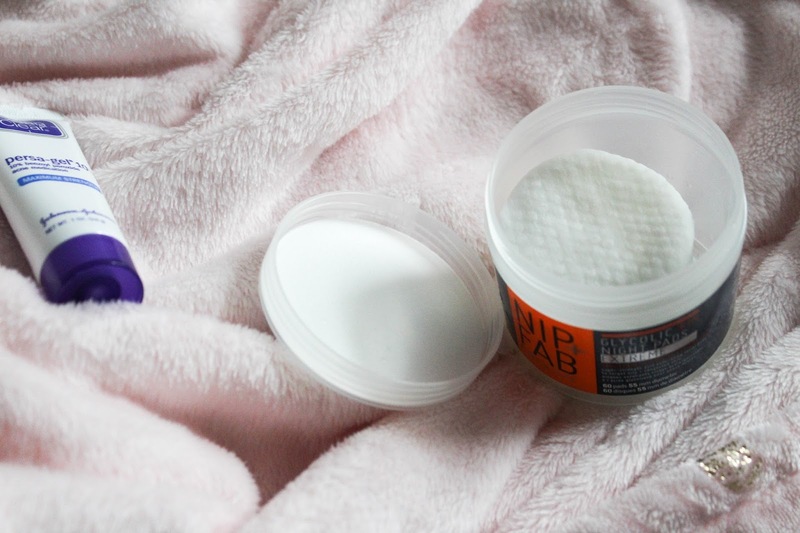 I have combination skin (although it gets more towards the dry side of things in the winter), but I really didn't want to make my skin more oily than it already was. I was skeptical, to say the least. But the raves were REAL. People love facial oils. They're great for hydration, anti-aging, skin texture, acne scars, acne, dark spots, etc. etc. You get the idea. Sooooo... I went for the oils. And yes, I'm now one of those weird facial oil raving-enthusiasts. My favorite? Rosehip oil. Oh my gooooodness. 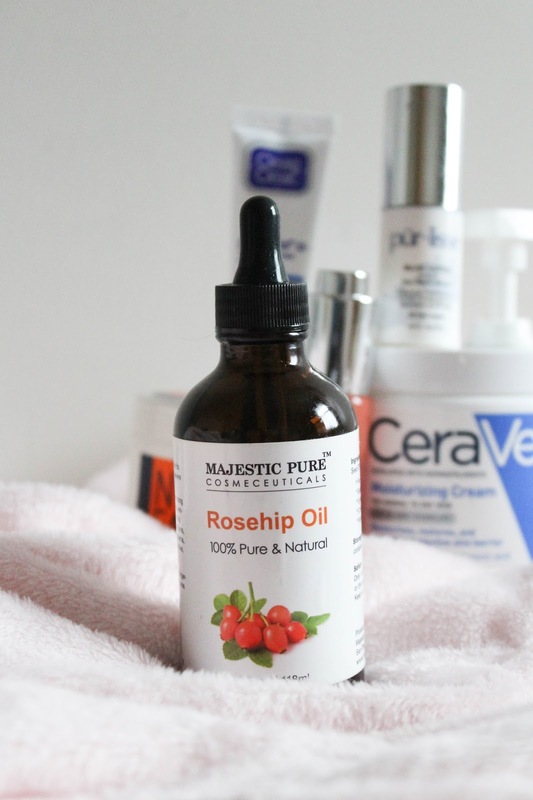 If you want to read more about the benefits of rosehip oil and why I love it so much, you can check out this post here. You have to get the real stuff though. 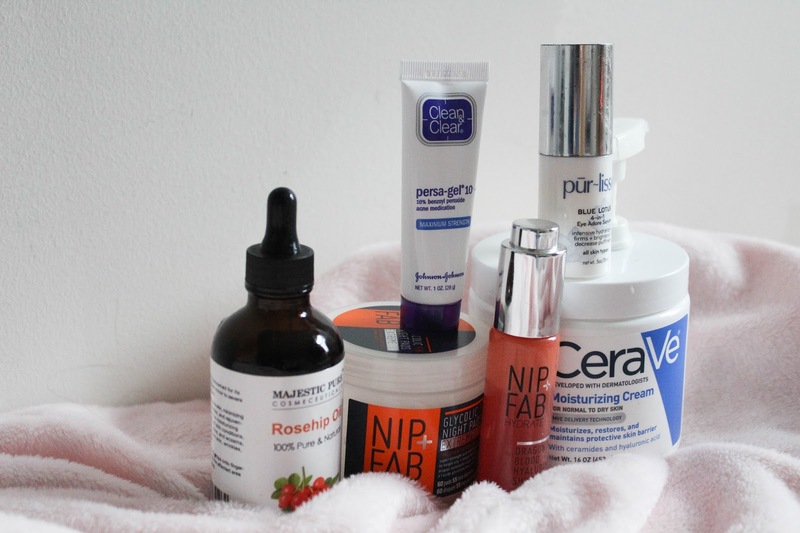 Sadly, some rosehip oils are formulated with products that are not great for your skin at all, so just do your research and get the best! I love a good exfoliating facial pad. 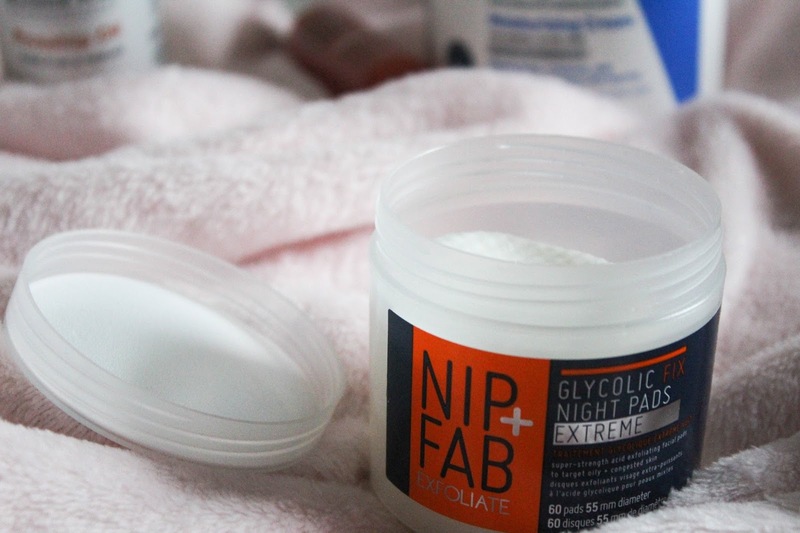 These ones from Nip+Fab have done wonders for my skin. Like I said, my skin tends to get a lot dryer in the winter (as does most people's skin), so it's important to always be exfoliating (but not too much). These are amazing because they're super gentle and you can't really "over-exfoliate" with these like you can with some exfoliants. I always use these after taking off my makeup with NOW Grape Seed Oil, 16-Ounce just to make sure that I got absolutely every trace of makeup off (because that's SO IMPORTANT). I'll be the first to admit that I'm so bad about eye cream. I don't know what it is - but I always forget to put it on. This winter I've been psycho about it though and I'm going eye cream crazy. Why? I started to notice these pesky lines under my eyes and I started noticed that my eye area just looked dark. I've been wearing makeup a lot less lately (like maybe only once or twice a week) so I really want my skin to look good. I feel like using an eye cream has helped a lot. Plus, my under eye area gets so dry in the winter so using an eye cream has really helped with hydration. I've been LOVING this one and I actually see a difference. This is another thing that I used to pass on. I'd take off my makeup, use a cleanser, and throw on some moisturizer and call it a day. I decided it was about time I tried out some serums, and I've been loving this one. I love applying this after my moisturizer and it's been great for adding some extra glow to my skin during these cold winter months. This one also smells like heaven, so I'll take it. And don't forget a good moisturizer. And no, it doesn't have to be hundreds of dollars. 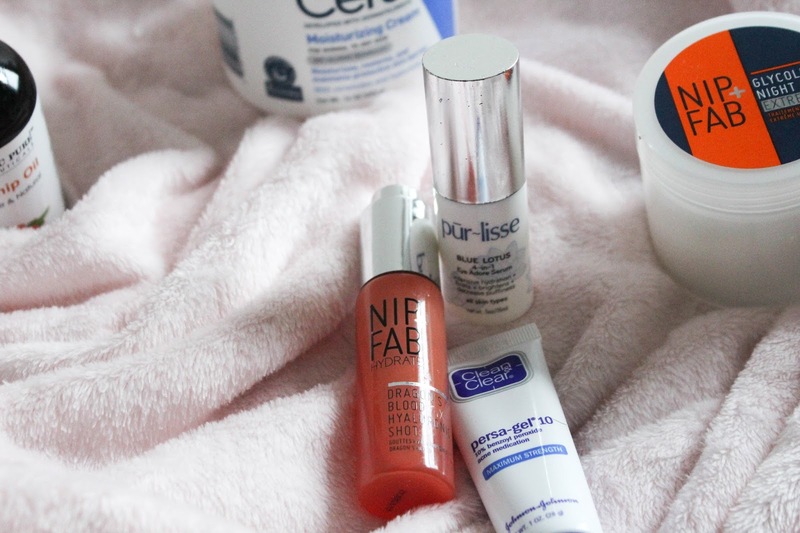 I've found some amazing moisturizers at the drugstore that have been so great for my skin. Imagine that? This one has been a HOLY GRAIL for so long. I keep trying out different moisturizers but somehow find myself always going back to this one, and I'm not mad about it. I've also been really focusing on massaging in my moisturizer to get the blood flow going in my face! 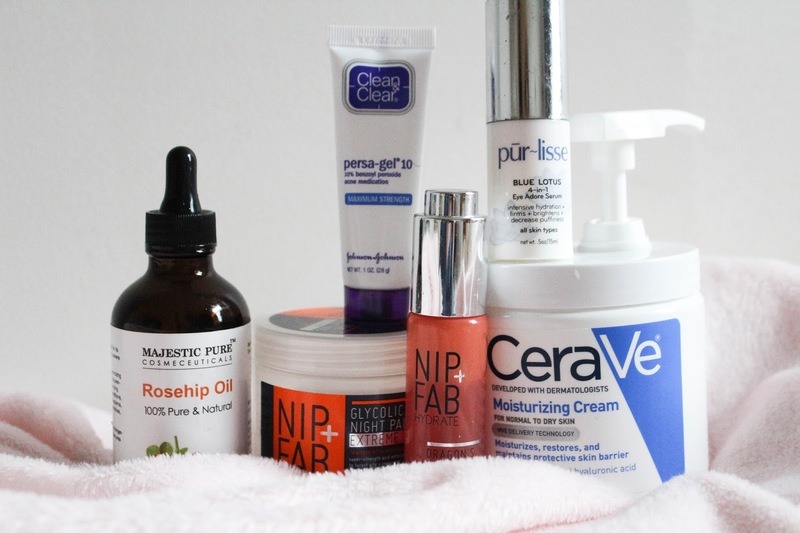 Let's talk skincare in the comments! What are your favorite products? Any winter specific tips? Informative post. 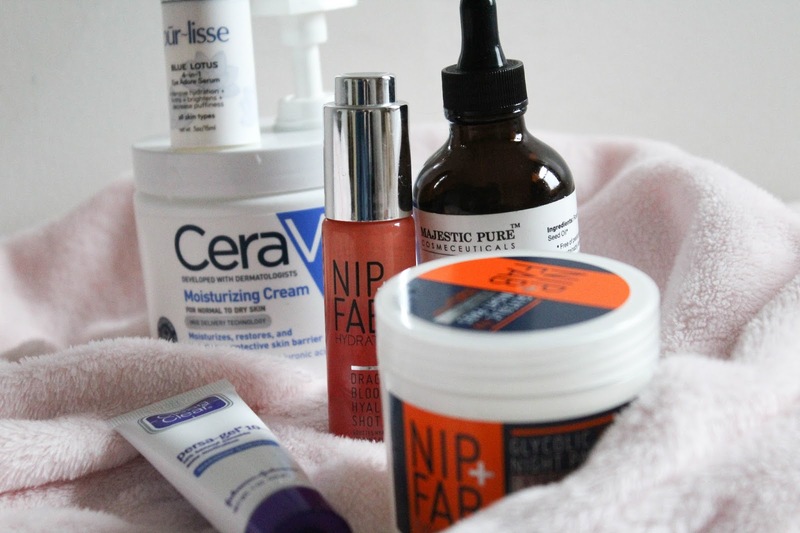 Winter weather is not fun for skin. Cold weather and low humidity levels result in dry air, which then steals moisture away from the skin every second of every day. Without immediate care, dry skin can lead to cracking and bleeding, and harsh winter wind makes the problem worse. Additional moisture helps, but you need to do more to actually counteract these effects and keep skin looking youthful and smooth. I want to add one more product in this list that is revitol eye cream because I use it and it has great results. Thanks for sharing.